Say what you want about football, but a game that brings people together is OK in my book. 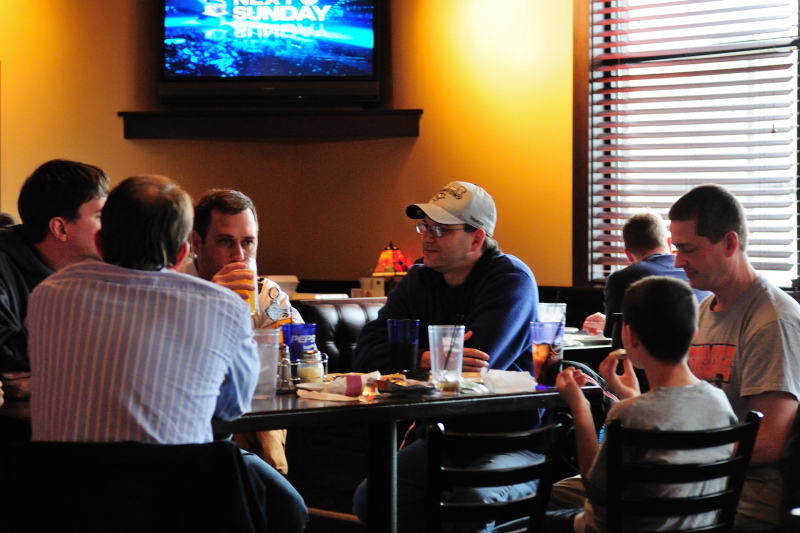 This afternoon, a group of us gathered at the local pizza / sports bar establishment to watch the Colts play the Jets. Scott, our big Colts fan, was nervous for the Colts, especially late in the 2nd quarter. But the Colts prevailed and are poised for the Superbowl in two weeks. That means our annual Superbowl party will have extra excitement this year.